If you are into mixtape game, you have probably heard about DatPiff. This self-proclaimed “Authority on Free Mixtapes” exclusively owned by the Idle Media Inc. is an online platform for mixtape distribution which specializes on hip hop music. Since Datpiff’s launch in 2005, this has essentially grown to be the leading platform for lots of hip hop artists trying to market, distribute and promote their exclusive mixtapes online. Some well-known hip hop superstars like Wiz Khalifa, Lil Wayne, Rick Ross and more have actually gone to this platform for mixtape hosting over the past years. With more than 8 million active users and estimate yearly revenue of about $2.3 million, it is just fair to say that DatPiff is one of the leading places when it comes to mixtape game. Ways on how to promote mixtape on DatPiff are vital things to play close attention with. After all, this is said to be one of the largest site in the entire music industry. While lots of similar sites are popping online today, Datpiff remains one of the leading and most favorite places of hip hop artists wanting to promote their mixtapes. One of the best features of this platform that attracts the attention and interest of the crowd is that, this can potentially help you get thousands of recognition and views. Getting your exclusive music on Datpiff is easy. All you need to do is go to its official site and then sign up for an exclusive account. Upon successful registration, you will receive a confirmation email and once approved, you can log into your account and do your thing. Sponsoring your exclusive mixtape for individuals or fans who are visiting the website and downloading your music even without registering. It is true that when your music is uploaded on DatPiff and this is not properly sponsored, those individuals who wanted to download mixtape on their computer or device cannot do so since you have not selected this particular sponsoring option. To have your mixtape sponsored so that individuals can download it, you need to pay a fee amounting to $100. This option is particularly given as soon as you have uploaded your exclusive mixtape and is fully ready to submit this and go live. Sponsoring your mixtape so that this features on the DatPiff page. This option allows individuals to download your music into their gadgets or device absolutely free. However, this sponsoring option is not really done on their sit but you will need to contact the regarding the price as well as the steps needed to be taken in order to get an exclusive front-page feature. 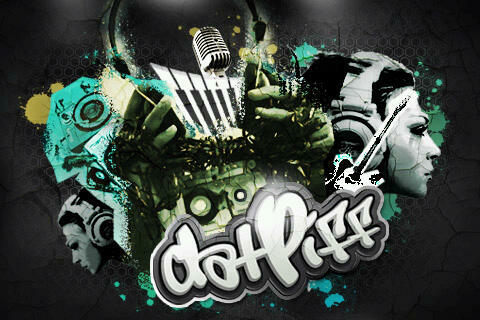 Overall, DatPiff is a trusted and big name when it comes to mixtape field. Take advantage of this platform to promote your music today.